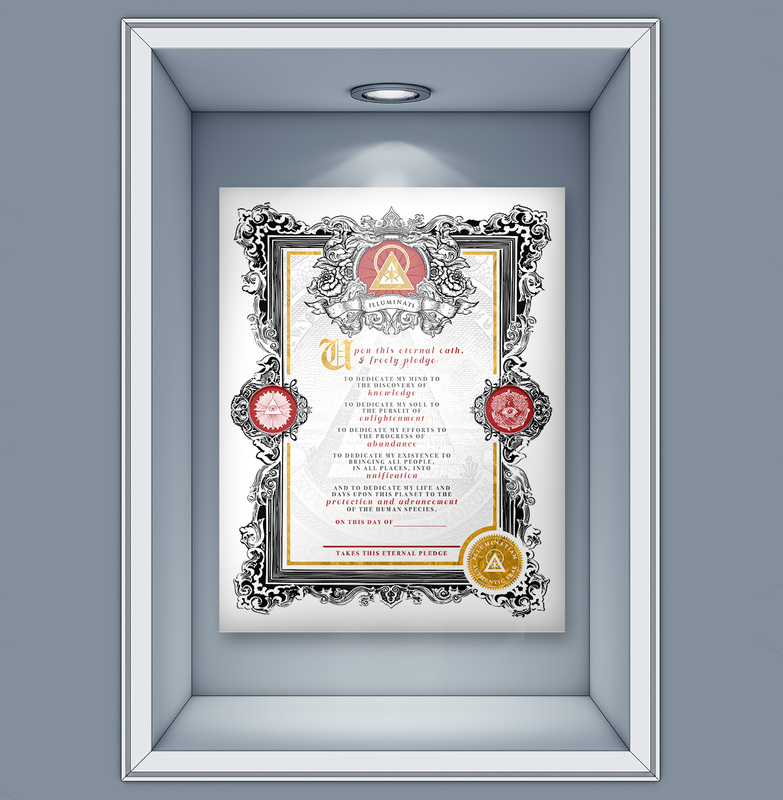 To ensure its authenticity, each Eternal Oath certificate bears specific marks. 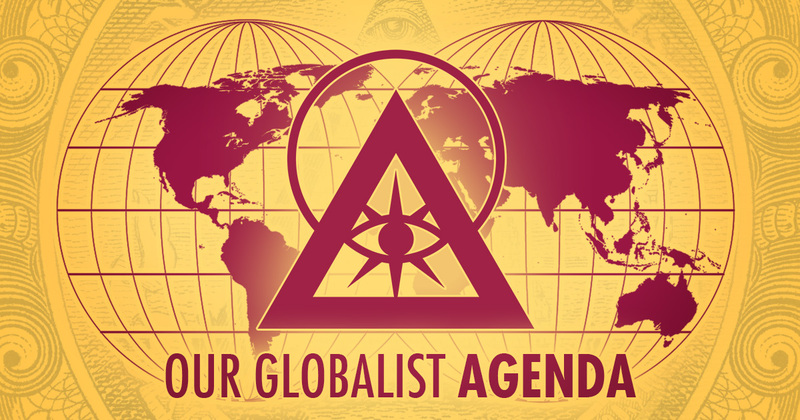 Upon receipt, citizens place their signature beneath the pledge, sealing their promises to themselves and humanity. 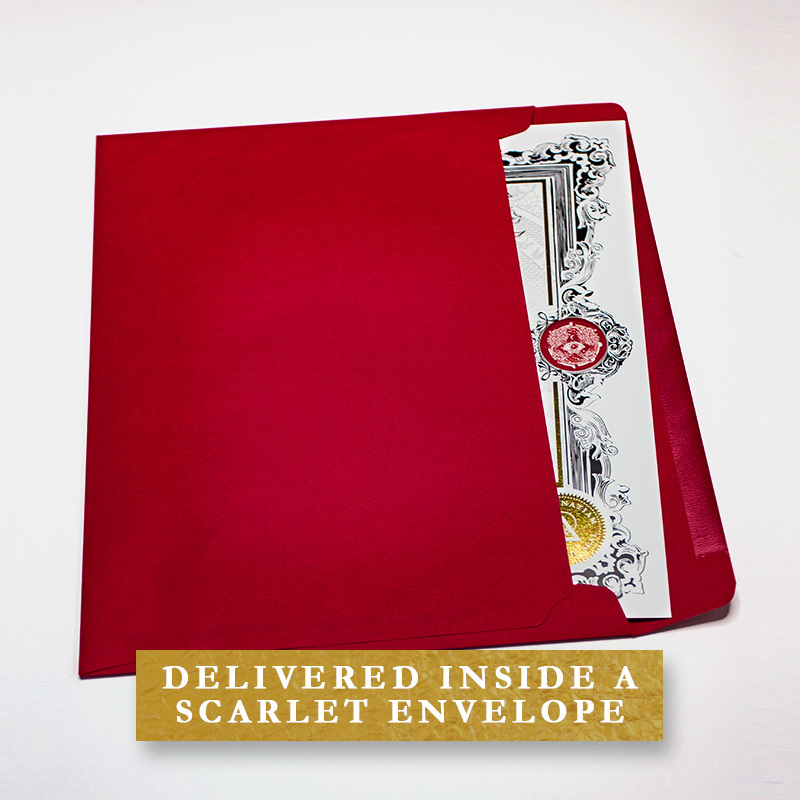 Each document is issued on pristine card stock with red elements. 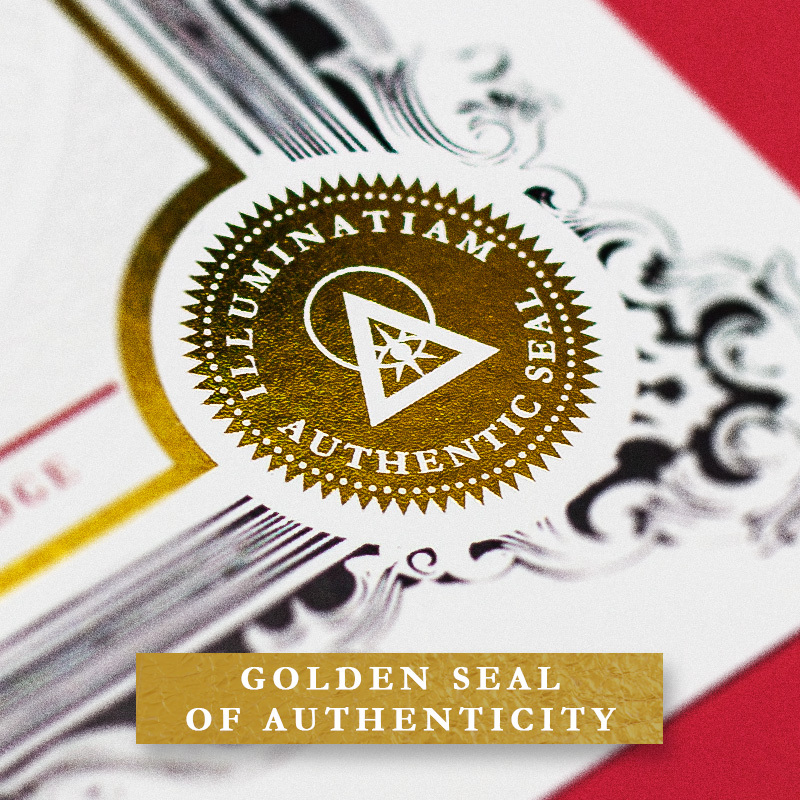 Genuine documents include a reflective gold border, gold Illuminati Mark, and gold seal of authenticity. 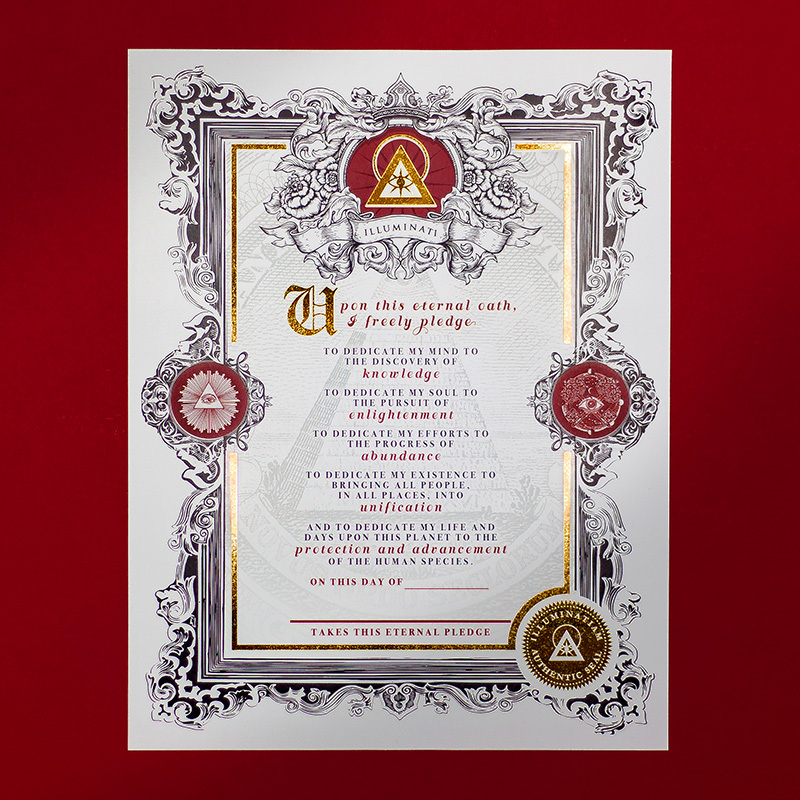 The Eternal Oath certificate is delivered inside a scarlet envelope, marking official documents from the Illuminatiam. 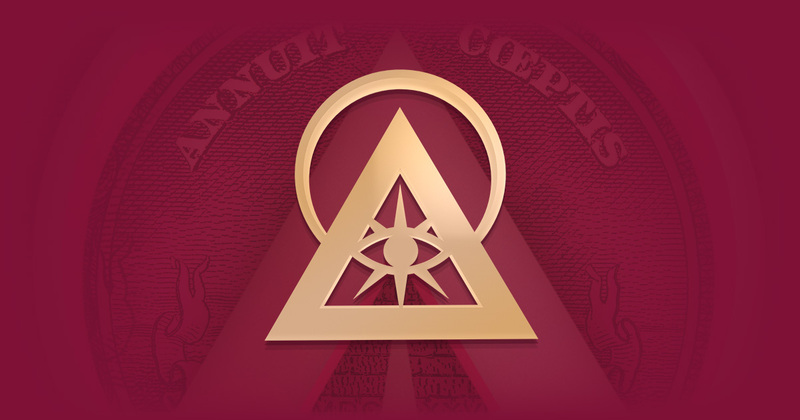 Within its promises, the Eternal Oath serves as a constant reminder of a person’s most important goals: the pursuit of knowledge, enlightenment, abundance, unification, and the protection and advancement of the human species. 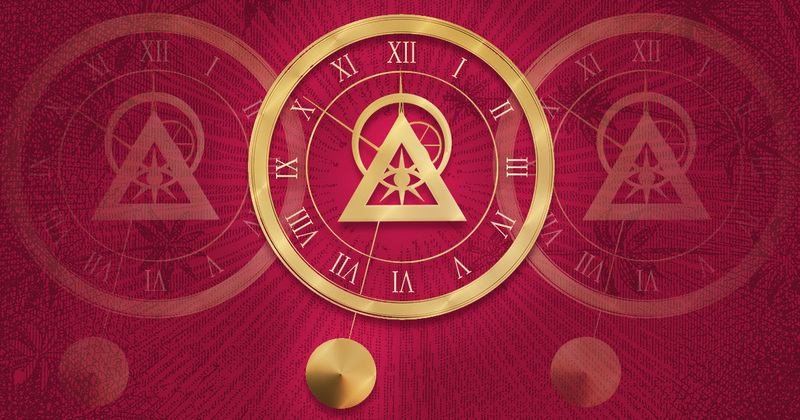 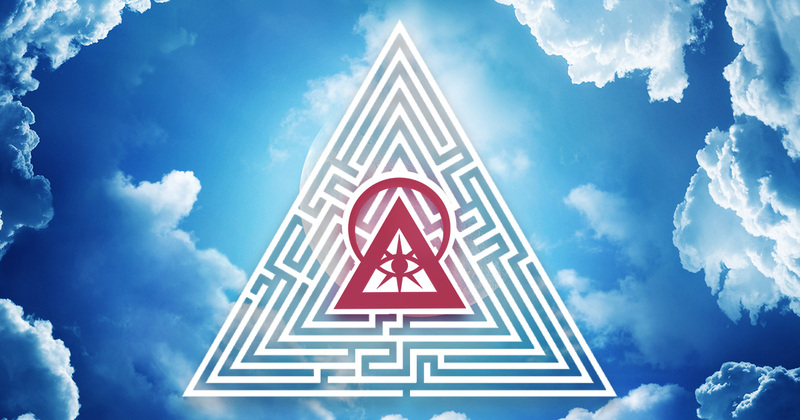 It is not a vow of loyalty to the Illuminati, but rather a promise between oneself and humanity – a universal agreement that wealth, power, and prestige may enter your life, but your responsibility to humankind can never be forgotten. 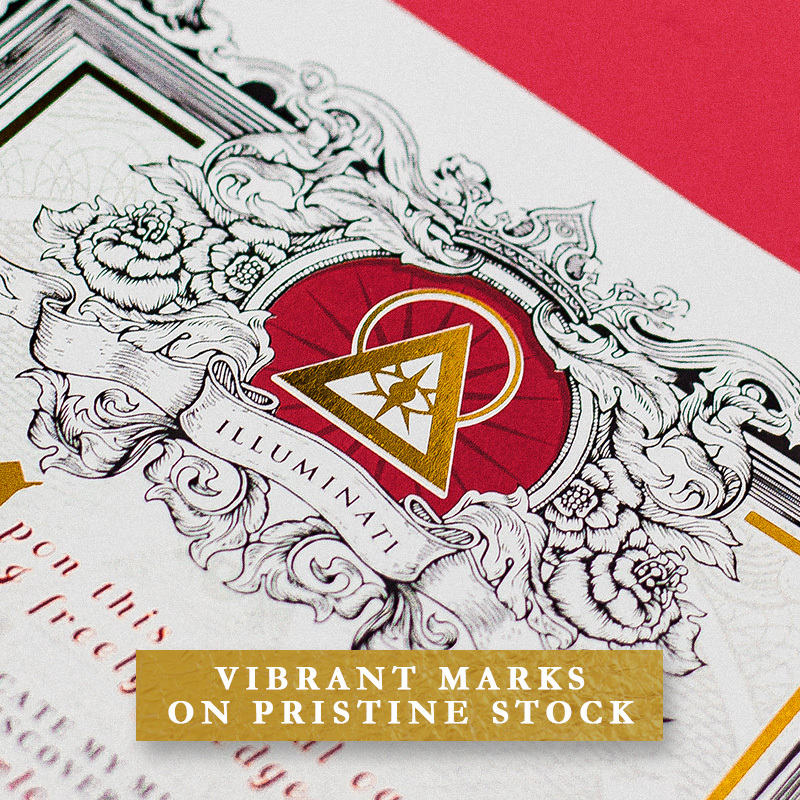 Stamped with the utmost quality, the Eternal Oath is a perfect addition to offices, homes, and other gathering places. 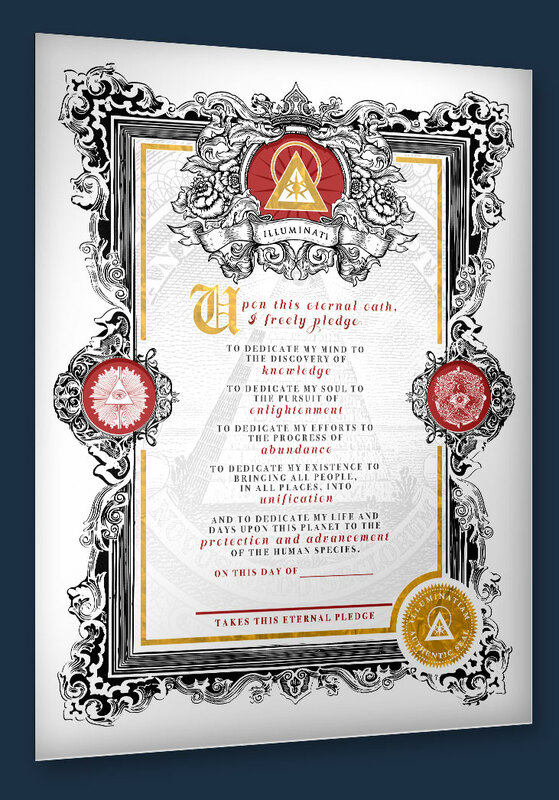 Though it may also be kept in private, display of the Eternal Oath serves as a signal to citizens and Illuminati members of the values you share.